This individual Report Opportunities for the Public and Private Sectors in the Canadian Prepaid Market is available for purchase. This Report is available to members of Mercator Advisory Group’s Prepaid Advisory Service. Please be advised that this Report is normally part of a research and advisory service that provides ongoing support throughout the year. As such, this Report contains significant depth of content that is selected for its strategic importance to our members. (For a description of these services, see our Advisory Services section). 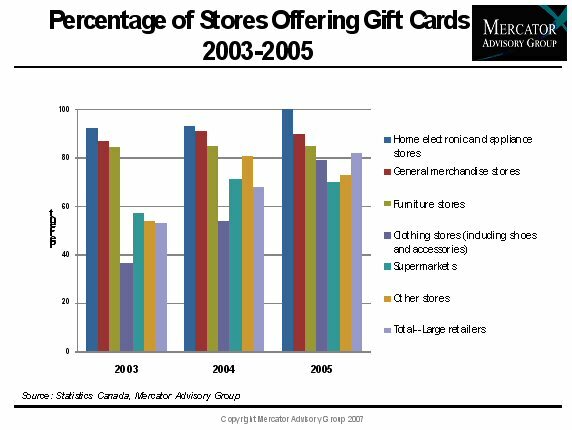 Prepaid Gift -- Canadian consumers are highly familiar with prepaid gift cards, which were initially offered by only a limited number of retailers during the holiday season.?? However, as merchants and consumers realized their benefits, gifts cards are now offered year round by almost all retailers. Similarly, the advantages of prepaid products and programs are becoming more evident to other segments of the Canadian payment market, in both the public and private sector. Payroll Cards -- The issuance of paychecks on prepaid cards can be beneficial for employers as well as employees in many ways beyond the simple reduction in paper. Government Benefits --Issuing government benefits payments on prepaid cards can reduce costs for the government of Canada as well as provide more convenience for benefits recipients. These are three of the many markets that have significant growth potential in the Canadian? ?prepaid market where there is stillsignificant growth to come. "In Canada, gift cards currently dominate the prepaid market, however, there is certainly potential for growth across other segments. Opportunities exist for retailers, banks, financial institutions, third-party companies, and many other players," notes Elisa Athonvarangkul, Analyst, International Advisory Service. "As Canadian consumers become increasingly aware of the variety and benefits of prepaid payment products... the high potential for growth is irrefutable." The most recent report from Mercator's International Advisory Service provides an overview of current prepaid market segments in Canada. * an examination of potential prepaid government benefits payments programs, and * a review of selected prepaid products and programs in the Canadian market, including electronic toll passes, transit fare cards, and campus cards.